As the cost of building materials increases, Canadian Spray Foam Solutions Ltd. adheres to the demands of energy efficient home building in Saskatoon by using spray polyurethane foam insulation. This multifunctional solution can be applied to walls, ceilings, floors, foundations, piping, attics, and crawl spaces. 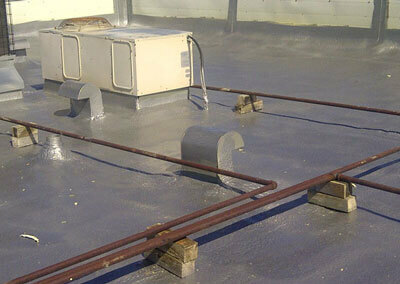 We use Bayseal CC, which begins as a liquid and expands. This single product can serve as an air barrier, vapor retarder, and insulation material. Structures with this type of insulation provide an aged R-value of 6.9 per inch while adding structural strength to walls and roof decks and keeping out pollen and dust. 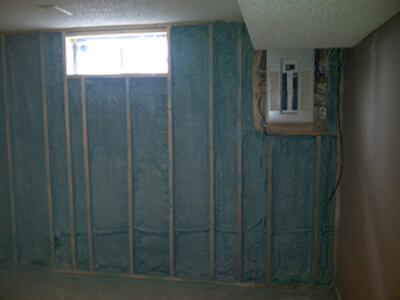 Closed-cell foam insulation can be installed in one day. For the construction crew, this insulation product allows you to downsize HVAC equipment, creating an unvented attic air for air handling units and ductwork to operate more efficiently. Bayseal CC can also withstand prolonged contact with water without damage. This product also eliminates thermal bridging and provides framing flexibility. It even reduces damages to walls and structural framing in the event of a hurricane or other natural disaster. Closed-cell spray foam insulation is one of the most advanced insulating materials available to the construction industry. Closed-cell spray foam insulation for residential applications reduces moisture transmission and minimizes sound transmission. Mold is a common concern, and conventional insulation can lead to the growth of mold on organic debris that gets trapped under this type of insulation. Closed-cell spray foam insulation helps keep the indoor humidity at a level for which the growth of mildew and allergens can be minimized. Reducing moisture and controlling humidity can also add years to the life expectancy of a home. Air control is also improved in the use of this type of insulation. Eliminating unwanted air and heat exchange decreases the amount of moist air that leaks through the house, which will reduce adverse effects of mold and mildew. Controlling the air in your home effectively also prevents the cool or warm air you pay to heat or cool from escaping and being wasted.